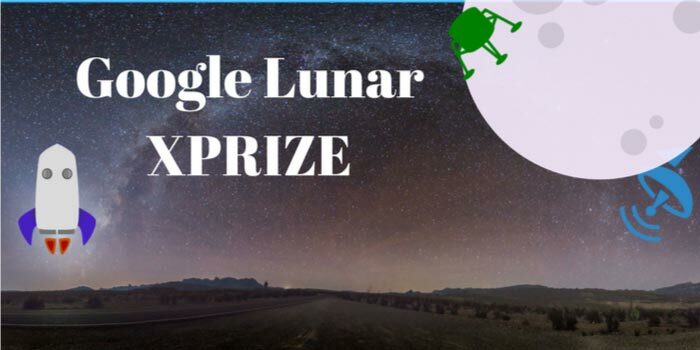 The Google Lunar XPRIZE Competition popularly know as GLXP of $30 Milion Winning Prize, Awarded to First Team who successfully land rover on the moon surface, Travel 500 meter on the Moon and Transmitted HD Video and Images to Earth. 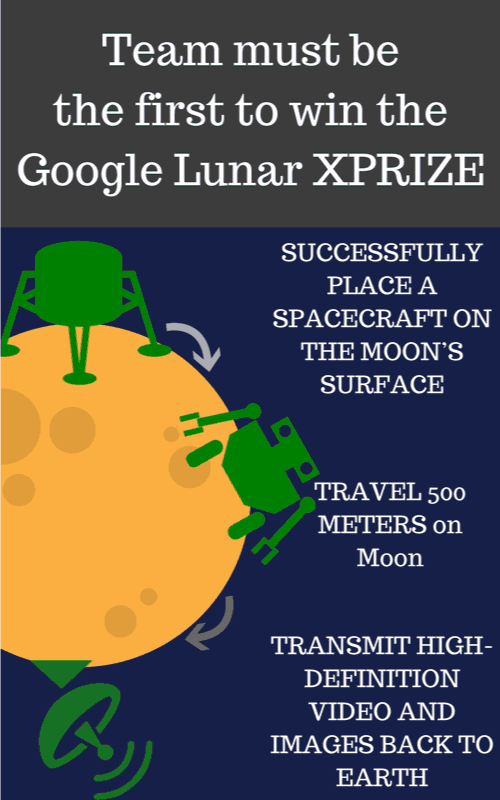 So basically Google Lunar X PRIZE (GLXP) Competition Organized By The X PRIZE Foundation and sponsor by Google inc. 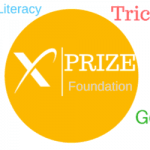 The $30M Google Lunar XPRIZE (GLXP)is an unprecedented competition to challenge and inspire engineers, entrepreneurs, and innovators from around the world to develop low-cost methods of robotic space exploration. 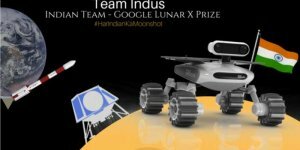 What Team has to Do for Wining the google lunar XPRIZE (GLXP)? A team must land its craft on the surface of the Moon. After landing Rover must travel a distance of at least 500 meters on, or above the surface of Moon. To win either of these prizes, teams must prove that 90% of their mission costs were funded by private sources i.e Govt. are not allowed to fund more than 10%. The team has to launch until the end of 2017.